It turns out that you can put a price on your health, and it comes to about $10,000. 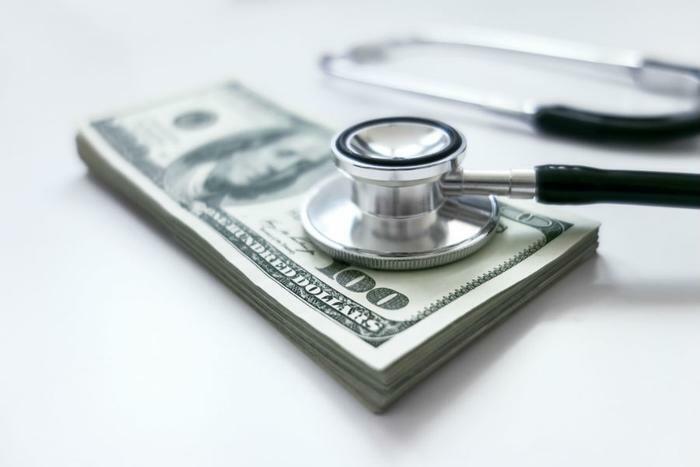 A new report and poll by West Health and Gallup found that out of 36 developed nations, the United States once again ranks number one in healthcare costs. In 2017, the most recent year for which data was available, Americans spent a total of $3.7 trillion on healthcare, or an average of $10,739 per person. To pay for those costs, Americans borrowed $88 billion, the report says. West Health and Gallup conducted a survey of 3,537 adults across the nation to determine how Americans feel about incurring all that medical debt. According to their results, 45 percent of Americans are worried that a “major healthcare event” will leave them bankrupt, and 76 percent of Americans believe healthcare costs will continue to rise, according to the survey. At the same time, 48 percent of Americans still believe that health care in the United States is either the "best in the world" or "among the best,” the poll says. The authors of the report say that unfortunately, that perception is just not true. The United States ranks at or near the bottom when it comes to health outcomes such as life expectancy, maternal mortality and infant mortality. Divided by political affiliation, the survey found that people who are Republicans have especially positive feelings about health care in the United States. A total of 67 percent of self-identified Republicans and 38 percent of Democrats surveyed think that America has the best healthcare in the world, though the majority of people surveyed also agreed that it costs too much.